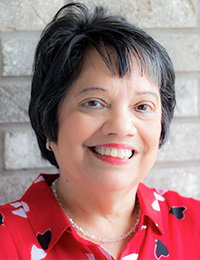 Recorder Rita Vargas resides in Davenport with her husband Kenneth Krayenhagen. They have a blended family of three children and one grandchild. Rita began her career with Scott County in 2003 after spending 13 years serving the public as a district representative/caseworker for U.S. Senator Tom Harkin. Rita graduated from Davenport Central High School, Marycrest College ('89) with a BA in Social Behavioral Science, and Drake University ('05) Masters of Public Administration. Major goals that have been initiated in the Recorder’s office include the conversion of electronic records into a data system (Cott) to facilitate Internet access to land records, the redaction of sensitive personal information from such records, and the continued use of technology to make the office more accessible to the public.